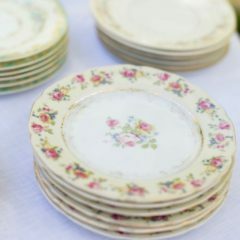 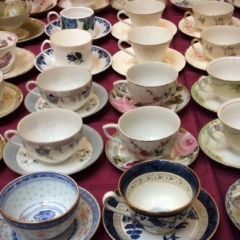 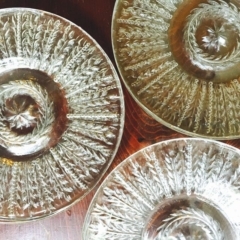 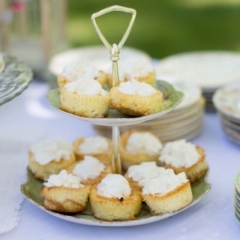 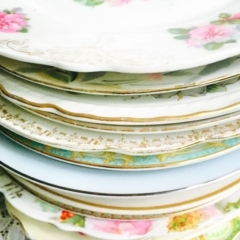 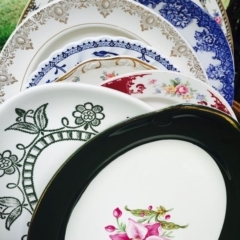 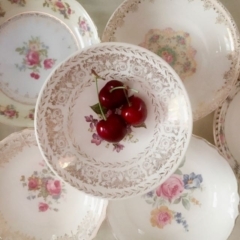 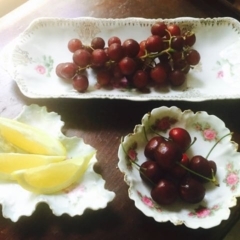 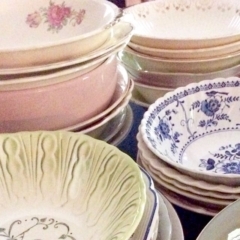 Southern Vintage Table has an extensive collection of vintage china in two basic categories – Elegant and Casual. 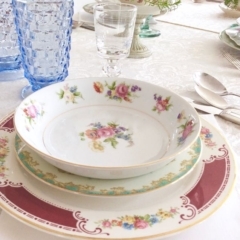 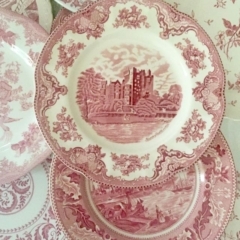 The elegant collection includes lovely fine china, with some patterns dating back to the 1910s. 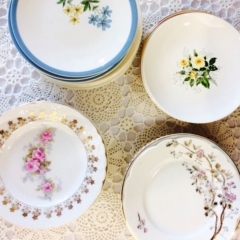 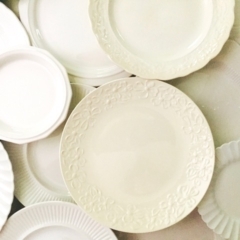 Although fine china can be appreciated at any event, this collection would be perfect for wedding parties, birthdays, anniversaries, and holiday dinners. 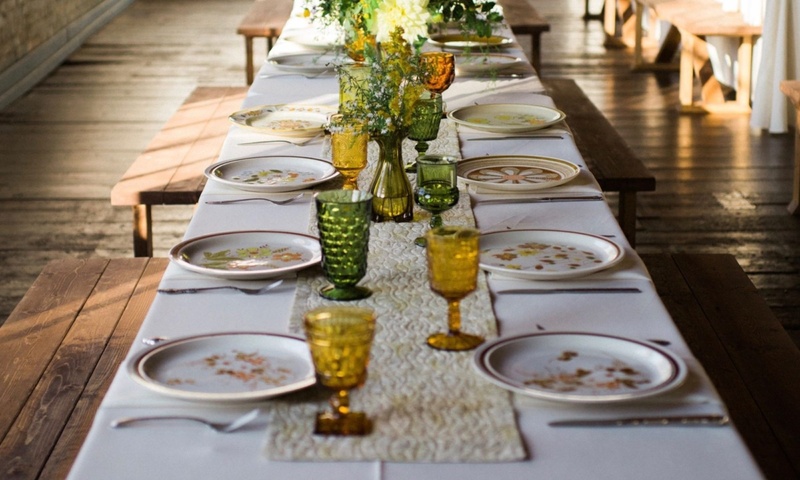 Your guests will be impressed by both the simplicity and sophistication of your exquisite table. 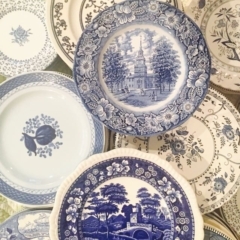 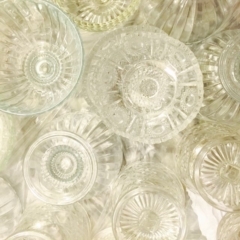 Our casual collection is a reflection of our more recent dinner table past. 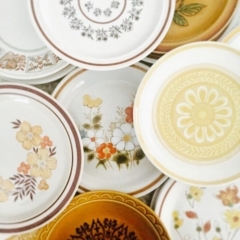 The retro look includes quaint floral designs from the mid century and bold designs of the 60s and 70s, The stoneware line, popular in the 80s, displays wildflowers in many colors, especially browns, oranges, yellows, greens, and blues. 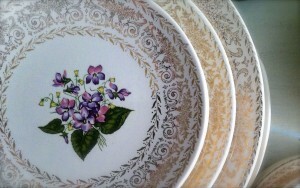 For a monochromic look, our collection can be sorted into blue & whites, red & whites, and white/creams. 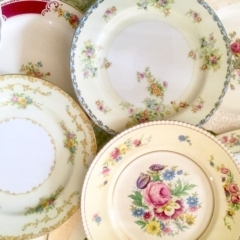 Whatever theme or look you choose from our vast china collections, the myriad of table settings will definitely be a great conversation starter for your affair! 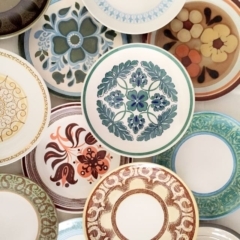 These Pinterest Boards also showcase our wares.